If you want to promote your business on Instagram, you don’t have to be boring about it and simple add another promotional post and point people towards your link. 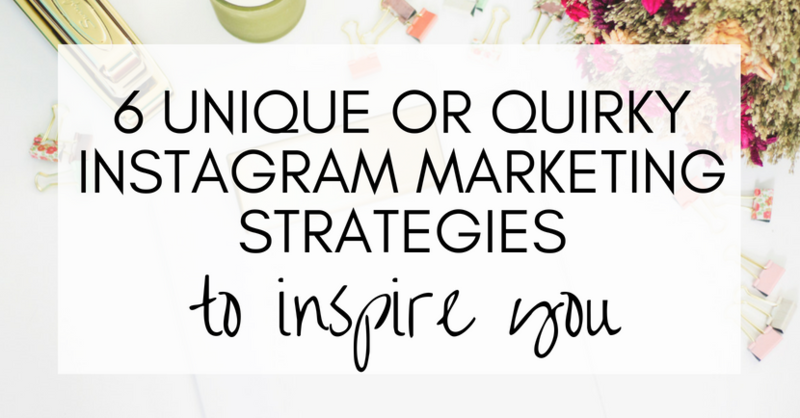 There are plenty of creative ways you can use Instagram to attract customers to your business. 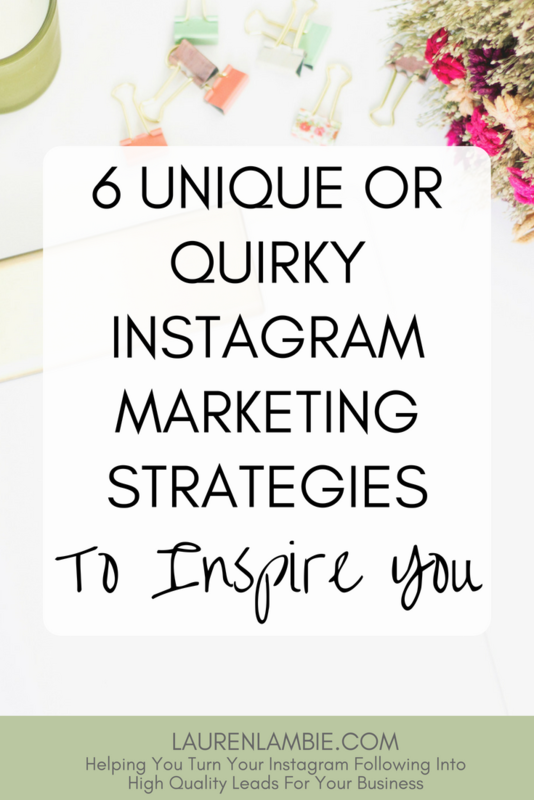 Here are just some examples of marketing strategies that businesses have tried on Instagram to inspire you. At the time of writing, not many companies have adopted the new feature that Instagram is rolling out, that allows people to buy direct from tagged posts on Instagram. Those that have been early adopters have seen great results. 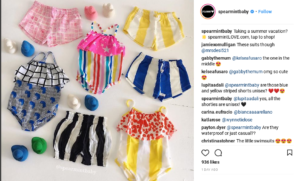 This company is one of many who have seen a direct increase in traffic as a result of adding shoppable product posts to Instagram. Zeek is an online marketplace selling unwanted gift vouchers. 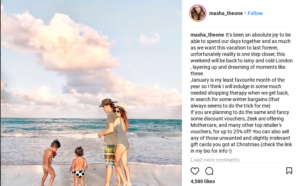 Relatively unknown, they ran a 2-week campaign before Christmas to increase awareness of their brand and did that by partnering with influencers and bloggers in the niches of parenting, fashion and beauty. They got these influencers to share their own experiences on Instagram of using Zeek to save money and sharing stories about some of the purchases they’ve made. Stories are great when it comes to engagement, and this tapped in well to Zeek’s target audience. Top takeaway tip: If you are going to use influencers, know your customers well. A micro-influencer perfectly in line with your target audience is far better than an influencer with hundreds of thousands of followers in a broader category. This is a fun campaign. It proves that you can be creative as you want when it comes to Instagram. 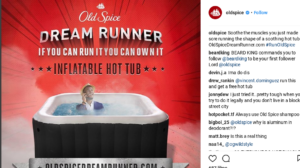 Old spice invited runners to post pictures of their running route, and they could win the object matching the shape of their route. Something fun and unusual is a great way to get people talking, get users commenting, and of course, they got quite a few unusual entries. Top takeaway tip: Invent a fun hashtag and get your followers to post a picture using that hashtag. But do make sure it’s relevant to your business, it’s an easy picture for people to post, and the sort of content that people are likely to comment on. 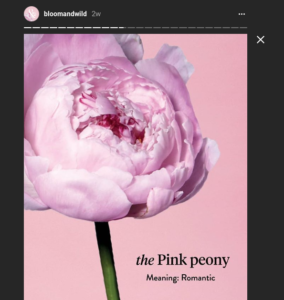 The online flower delivery company, Bloom & Wild’s use of their bouquets, together with an individual picture and meaning behind every flower, makes a visually beautiful and fascinating story on Instagram. Actually, their stories are so stunningly gorgeous to look at I could have put a dozen screenshots on this blog post and your entire page would be filled with a rainbow of different flowers (but sadly, as pretty as that blog post would be, it’s probably not so helpful as a marketing post). Top takeaway tip: Make great use of colour in your stories – as well as making your stories attractive, it also gives them shape and structure, and it’s a great way to show off your brand and products. If it’s appropriate for your brand, find a day in the calendar that celebrates your audience. Next, showcase that day in all it’s glory using your Instagram account. National Geographic is an example of a big brand using this to great effect. 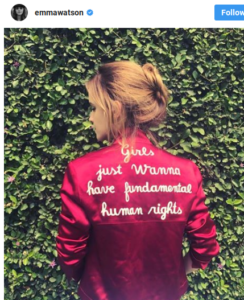 They got Emma Watson to curate their Instagram feed for International Women’s Day. Of course, not all of us have the ability to ring up a big celebrity. But you can still use this to great effect in your own business with an influencer in your field. Or even pass your account over to one of your non-marketing employees for the day. Pacific Northwest Wonderland ran short, small giveaways via Instagram Stories. This is a great way to keep your followers on their toes and stay engaged with your brand. Their followers had to keep an eye out for the latest offers and giveaways which would be launched via a story, with a link to a landing page. Altogether, I’m sure you’ll agree, 6 very different marketing campaigns from 6 very different businesses. But I hope it’s at least given you some ideas as to what you can do for your next promotion. The theme running through all these campaigns is engagement. 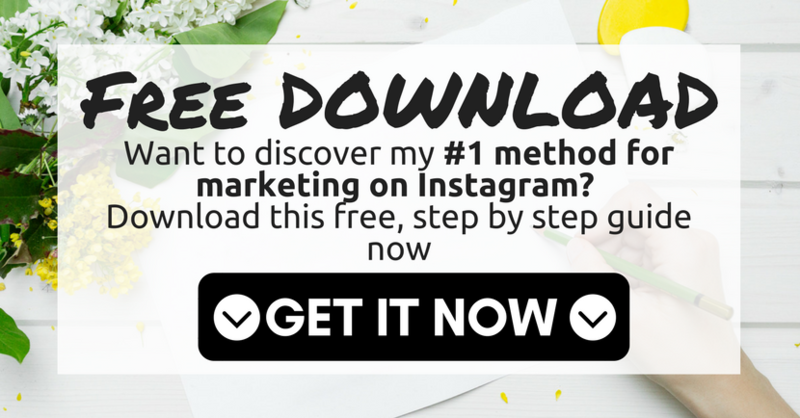 Successful promotion on Instagram is all about making the effort to get your followers involved. Get them learning about, and interacting with, your brand. If you can do that, and make it fun, meaningful or just really unique, you might be on to a winner.